The Canadian men's national under 18 ice hockey team is part of a three-stage Program of Excellence beginning with the Under-17 regional teams and ending with the National Junior Team. The primary objectives of the Under-18 program are to identify, evaluate, and condition players to the rigors of international competition by giving first exposure to off-shore officiating, ice-surfaces, and travel. The Maple Leaf has always appeared on the uniform since 1920. The Under-18 squad traditionally competes in the month of August, during the off season, to allow players to further develop skills with their respective junior teams in the winter following a week-long camp. A 22-player roster is chosen by scouts and coaches from Hockey Canada to represent Canada on the international stage. The first National Men's Under-18 Team was created in 1981 with the development of the Program of Excellence and has since competed in many international competitions. For the first 10 years of the program, the National Men's Under-18 Team participated in exchange camps with the United States to provide both countries the opportunity to refine the skills of their most gifted young players against top caliber international competition. It was not until the Japanese Ice Hockey Federation introduced the Phoenix Cup, a four-nation tournament designed to improve Japan's international hockey program, in 1991 that Canada took part in an international tournament. The Phoenix Cup (later the Pacific Cup and La Copa Mexico) was a single round robin competition between the national under-18 teams of Canada, Russia, Japan, and the United States. It was competed for between 1991 and 1996, with tournaments in Japan; Mexico City; and Nelson, B.C. In its six-year history, Canada took home three gold medals, two silver and one bronze. In 1997, the National Men's Under-18 Team competed against Slovakia and the Czech Republic in a three-nation tournament in the Czech Republic. Canada captured gold and repeated their performance the following year in Slovakia against Belarus, Slovakia, and the Czech Republic. 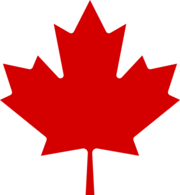 Since 2002, Canada's National Men's Under-18 Team has taken part in the IIHF World Under-18 Championship, winning three gold medals (2003, 2008, and 2013), one silver medal (2005), and three bronze medals (2012, 2014, and 2015). Roster for the 2018 Hlinka Gretzky Cup. ^ "A century of Jerseys". Hockey Canada. Retrieved 2018-01-12. ^ "National Men's Under-18 Team". hockeycanada.ca. Retrieved 2011-01-04.